Categories: Business, Leadership, Management, Worldwise Series. As the world’s second largest economy, China is becoming increasingly appealing to foreign businesses. As such, more and more businesses world-wide are actively seeking to trade and collaborate with Chinese businesses. However, the unique business environment, culture and traditions, make this a very challenging market for most foreigners. Doing Business in China is designed to make anyone exploring, starting or already doing business in China better aware of the cultural and business etiquettes necessary to succeed in this market. This concise and attractive book is a one-stop guide that aims to shed light on the intricacies of doing business in China. ● This book is for anyone exploring, starting or already doing business in China. ● Useful insights and reliable information to support a coordinated approach to doing business in China. ● Stylishly presented (with diagrams and illustrations) and easy to understand and apply. ● Engagingly written by an author who has worked and travelled extensively in China. 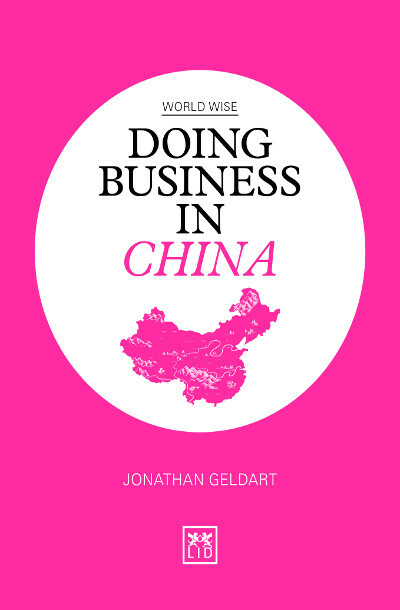 Jon Geldart is a writer, adviser and speaker on the cultural and business aspects of China. He is Executive Director of Market Development at Grant Thornton, one of the world’s leading accountancy groups. He has spent the past five years living and working in China.